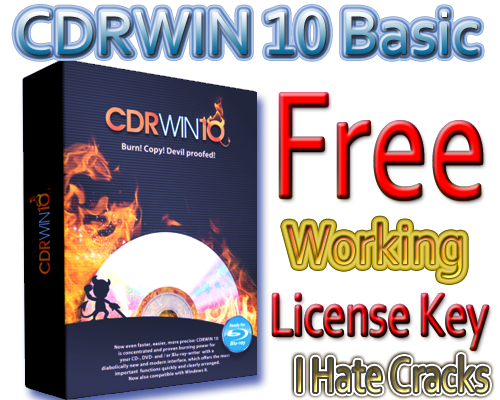 CDRWIN 10 Basic Free Download With Free License Key , this post for you if you are looking for a free but high quality CD/DVD and Blu-Ray burner software . Today’s gift worth €19.99 is from Engelmann.com . Engelmann.com team is offering a free license key to activate CDRWIN 10 Basic legally . Engelmann team has made many awesome and worthwhile softwares , especially they are known for their CD , DVD and graphic related softwares . If you visit Engelmann official website , you will discover many awesome and terrific softwares . CDRWIN 10 is one of the best creations of theirs. Unlike other CDRWIN 10 has a so simple and user friendly interface . And starter and professional both can easily utilize well it to achieve their goal . Its user friendly and straightforward interface makes it more prominent and useful than other that kind of softwares . CDRWIN 10 has state-of-the-art and latest CD/DVD and Blu-Ray burning technology . This is a latest version and supports and works so well in Windows 8 and you can enjoy three most spoken languages in this new version , German, English, French . Below is a list of its features . Authoring of Orange Book-compatible data-CDs (CD-ROM, CD-ROM/XA) as well as data-DVDs and Blu-ray discs. Also suitable for creation of MP3- and h.264/MPEG-4-CDs/ DVDs & Blu-ray discs. Support of Disc at Once (very important e.g. for standard-compliant creation of audio-CDs and when copying from CDs/DVDs), Track at Once (important in case data-CDs are to be extended retroactively) and Session at Once (CD-extra). CDRWIN 10 probably works with any drive that is presently on the market. Even a large number of old drives that were released before 1998 should be supported. If CDRWIN does not support a certain burner, please contact us! You can read its more features on the Homepage . Engelmann Media GmbH has partnered up with Tipradar to provide CDRWIN 10 Basic edition with license key as a gift and bear in mind this is a limited time offer , so don’t be late and hurry up if you want to grab a free license key . Visit the Giveaway page and submit your first , last name and most important thing a valid email address because you will receive a free license key in your mailbox . Click ” Request Serial number ” . Check mailbox and complete the confirmation process . Check again your mailbox , You will receive a free license key in second email . 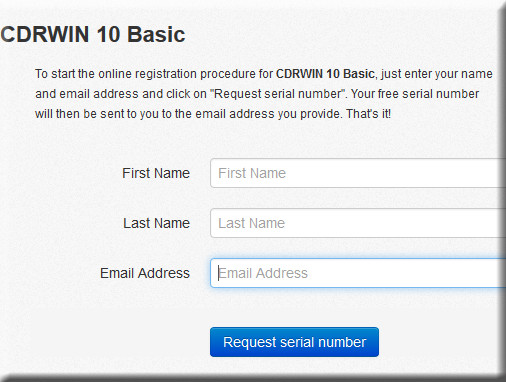 Download CDRWIN 10 basic version from this page , install and activate with received license key .